The Cream Tangerine is a smooth sounding compressor that when used correctly can give a lot more presence to your tone. Your single note lines will jump out and your chords will have more kick. You also get more sustain (though not the “endless sustain” of other compressors such as the Dynacomp). With some settings this pedal adds a little gain to your sound as well, and can be used as a clean boost for leads, or set for unity gain. 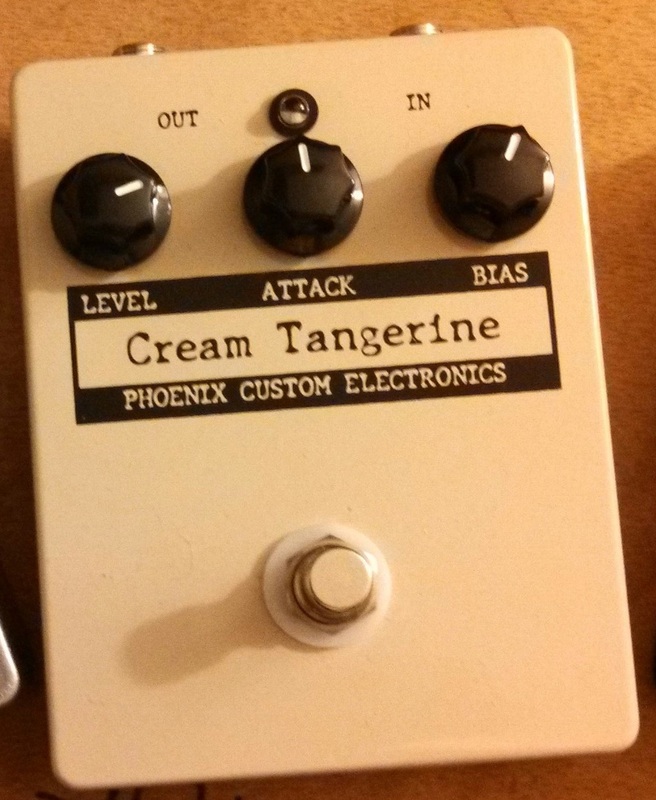 The Cream Tangerine is a clone of the “Dan Armstrong Orange Squeezer,” and has the exact same signal path. The only changes from the original are the use of 1% metal film resistors which are less noisy than the original carbon resistors, the addition of an attack control, true bypass, and the controls mounted on the outside of the box (the original Orange Squeezer had internal trim pots for volume control and bias/compression).